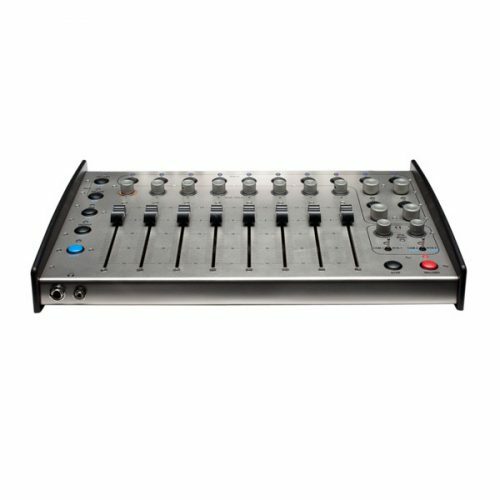 The Sound Devices CL-9 is a dedicated mixing surface for the 788T. With the addition of a CL-9, the already powerful 788T becomes a complete mixer / recording system, perfect for audio capture in sound-for-picture and music-oriented productions. The heart of the CL-9 is its eight ultra low-latency linear faders and rotary input trim controls. Critical gain changes are fast, smooth and precise. When a CL-9 is connected the 788T gains a single band parametric EQ for each of its eight inputs. 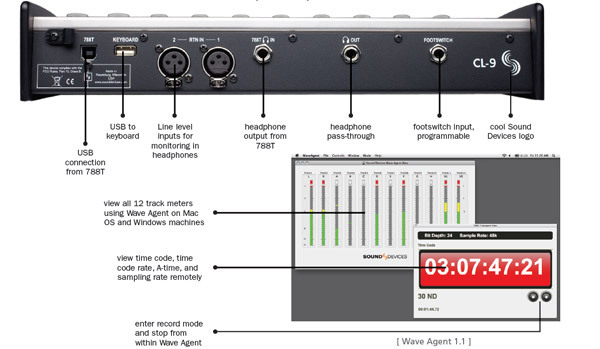 EQ frequency, level and Q are adjustable. Additionally, the CL-9 adds input pan to the 788T. A wide range of 788T menu-based controls are accessible with convenient knob control on the CL-9. These controls include output level control of the six outputs, dedicated L/R and Aux 1/Aux 2 output level controls, track-record enabling for each of the 12 record tracks, and one-touch soloing of inputs or tracks. 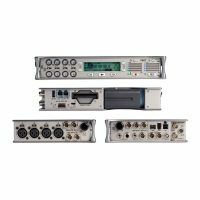 Bus-powered by the 788T, the Sound Devices CL-9 is connected by a single USB cable. By connecting the headphone output from the 788T to the CL-9 additional monitoring features are available. The 788T can additionally be connected to a Mac OS or Windows computer running Wave Agent 1.1, Sound Devices popular file librarian. When the Metering Mode of Wave Agent, all 12 record tracks and 788T time code values can be remotely monitored. Record and stop control are also available.